Photo courtesy Jordan Maassen, Lashley Land Brokers. In Nebraska, Jordan Maassen is managing and selling properties for recreational hunting through his job at Lashley Land Brokers. 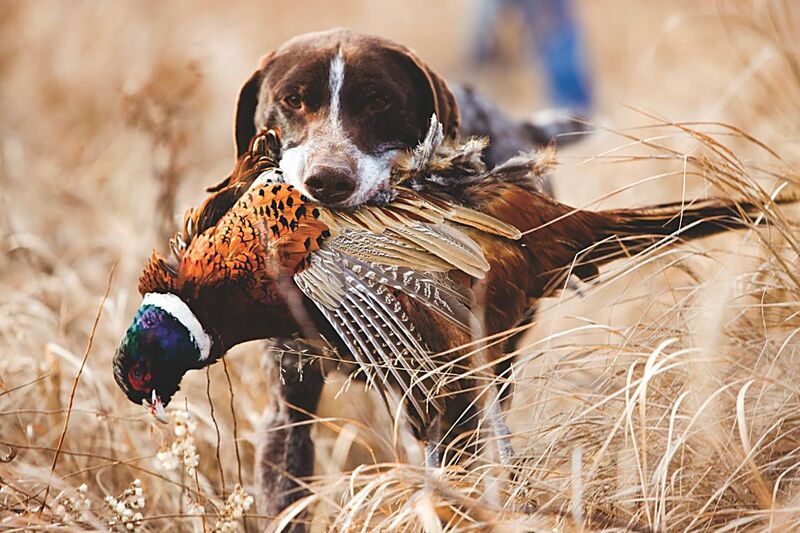 German short hair retriever with a bird in his mouth during a pheasant hunt. 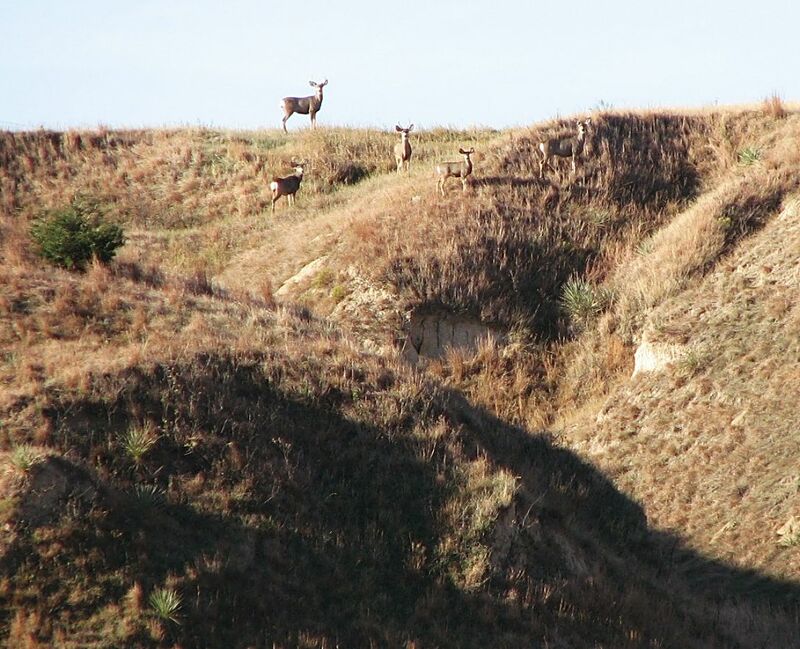 Many ranches throughout the country are a hunter's paradise. Ranchers' efforts to conserve the land and optimize it for cattle operations also result in prime habitat for wildlife and a cooperation between hunters and landowners can be mutually beneficial. Cardinal Charolais on the Prewitt Ranch near Hillrose, Colo., is home to about a 60-acre augmentation pond and the native grasses typical to the Colorado sandhills nearest the river. Pat Gebauer has hosted a hunting club for more than 20 years. The group of hunters invests in the club for the privilege of hunting the ranch ­— mostly for waterfowl — and Gebauer invests the funds back into habitat on the ranch. One of the things that makes the arrangement successful, Gebauer said, is the third party who oversees the club. The manager ensures that the hunters are aware of the expectations and communicates between the two. The club on this ranch adds new members infrequently, as most of the members have been hunting Gebauer's ranch for years, but new members are added only through existing members. Even then, he said, they're on a trial basis until it's clear that they're a good fit for both Gebauer and the other members of the club. "They all know when they join, they are on a trial basis and they have to do things the way we want or they don't get to come back," he said. 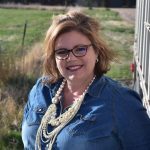 If and when someone isn't allowed to return, Gebauer said the manager is especially valuable as he takes care of the details and leaves Gebauer free to tend to the business of ranching. The manager began as one of the first hunters on the ranch rather than through a traditional property management service but Gebauer said the relationship and his job make hunting on the ranch easier for everyone. Gebauer has been intentional in keeping the club's size small, he said. "We found the members who could afford to pay a little more money and to have fewer members rather than needing to have 20 members to raise the same amount of revenue," he said. That revenue has been invested back into habitat, electricity for bubblers on the ponds, and other improvements. Gebauer added augmentation ponds years ago and, rather than adding multiple, small ponds, the property lent itself to a larger pond which has been a natural fit for hunting. Maassen sells recreational hunting properties and said it's not a sign of a declining number of ranches but a sign of differentiation. "It's more along the lines of finding some other opportunities for some income potential," he said. "Maybe they don't utilize the ground themselves during hunting season and someone else is willing to and pay to do it." Maassen said, much like on Gebauer's ranch, groups of hunters will contact his office to secure a lease on a piece of property prime for hunting. By having a group of hunters, Maassen said the hunters are oftentimes able to secure a larger lease and it's a more beneficial relationship for both hunters and landowners. By utilizing his office, Maassen said both parties see a benefit. Most of the hunting properties Maassen deals in provide hunting for waterfowl, turkeys, and some upland birds like pheasants and quail. He said he's even seeing an increase in coyote trapping and calling which can also be a benefit for livestock owners who are seeing an increase in the predators. "When we put together leases on hunting properties, the landowner is protected liability-wise," he said. Through this lease, the landowner's expectations can be better communicated to hunters who are, oftentimes, not from the local area. This is one of the benefits of using a management group to secure a hunting lease, according to Russell Spencer, a turkey hunter from Colorado. By depending on a local expert, he is more able to secure the best lease for his purposes and budget so his free time can be used for hunting. "Before, when hunters were neighbors, they got along pretty well and both sides had a pretty good understanding of what was expected from both sides," Maassen said. "Now, a lot of out-of-staters are coming in to hunt and either they don't know the rules of the state they're coming into or they don't care. Not all of them are completely respectable but that's only a few." Maassen said many of the landowners who hire him to manage their hunting leases in their stead do so to avoid conflict and inconvenience. Through Maassen's land management, items are in place to keep the hunter and landowner on the same page and protected. "If (hunters) are going to put a little money down, they're going to want to come back again," he said. "They're not going to want to spend the money and then blow their opportunity to come back out here." Different types of hunting leases are dictated differently. Turkey hunting leases, he said, are often by the bird while waterfowl is often per limit or even per gun, per day. If a landowner is interested in professional lease management, Maassen said he will visit the property and design a package specific to that property and what it can offer hunters. Lease management also eases communication so someone like Maassen can communicate to the landowner when hunters will be on the property. "It's peace of mind," he said. "It makes sure the landowner is protected from someone trying to manipulate the situation. It puts a third party in charge so you don't get any hostility toward each other. Plus, the landowner is protected and the hunters have a pleasant experience and success."